Vanilla mint flavor with a touch of sweetness and a splash of menthol. Testers gave this flavor 10 stars for flavor, vapor production, throat-hit and daily vapability. I am generally a sweets/dessert kinda gal but this is the one that forever got me to stop craving menthol analog cigs so it deserves its own Honorable Mention for that alone :) It's very nice; not too mint, not too sweet, juuuust right. The only problem, if there is one, is mint-based flavors require their own cartridge (anything used after continues to taste minty to me BUT it's also how I discovered some fun new combos!). Still, it's nothing compared to how great the products and service is at Altcig.com! Seriously, I can't tolerate other what I consider 'lesser', juices now. You guys have spoiled me forever and that's perfectly fine with me! Over a year and a half off regular cigs now- myself AND my family couldn't be happier. I love getting mail when I know new juices are on the way. Vape happy indeed! I love mint vapes and this one is great for when I need to change it up a bit...when the straight mint gets to be a bit too much. Who would have ever thought vanilla and mint would work together, but they really do! I am fairly new to using a vape pen and this was a flavor recommended to me by a few friends. Since receiving my initial order i first started with the Chilla Nilla, ;et me say that this is the best taste for what i want. An all day vape flavor that doesn't get old and always tastes great. I have managed to get a few friends and family that have smoked for over 45 years hooked on this flavor alone! Great job guys, keep it up! Better than Vanilla Love imho. First let me say i'm not a fan of Vanilla Love, in fact it is one of my least favorite flavors I ever ordered from AltCig as to me it was really lacking kick or flavor. I recommend this to people who felt the same way or possibly want more flavor as Chilla Nilla fixes the problems I had with Vanilla Love by adding kick and flavor, you can actually taste the vanilla now like you should have before. 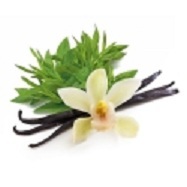 The menthol is not overwhelming and compliments the vanilla and actually accentuates it. Tastes more like vanilla than menthol. It has a great mix and vapes very well and lasts good and doesn't die off quick. Much better than Vanilla Love imho. I simply love the Chilla Nilla!!! I am looking for an adv and this one is it!!! Love the vanilla and menthol, makes for a yummy delish juice!!! My order came in record time, it was just an all around great experience!!!! Thank you ALT!!! OMG!!! To die for! So glad I ordered this! Wow, I can't believe I forgot to review it.I had a bottle of 70ml ( long gone) and absolutely amazing. the perfect vanilla and light mint. very very smooth, taste so good in and out and has a nice vanilla aroma. pure and tasty, It actually got much better within a week of opening. 18mg at 3.7-4.8V - amazing. home run again for good ppl at altcig.